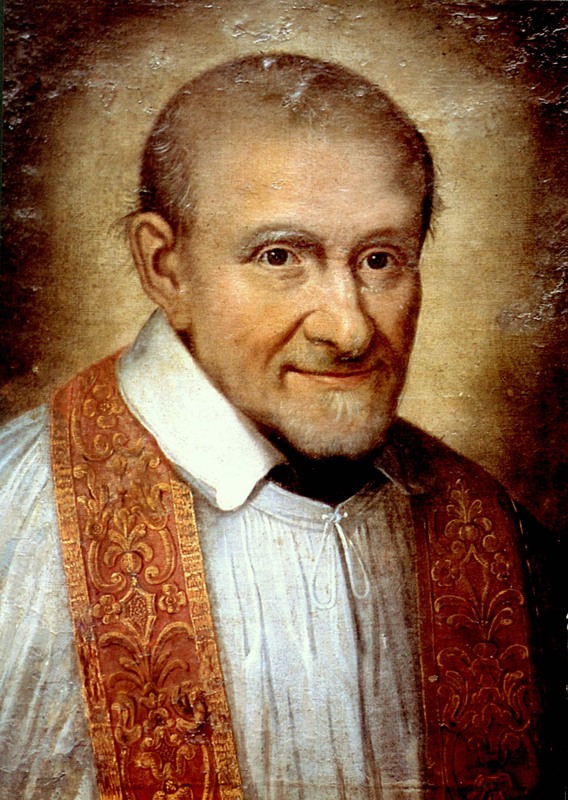 Today is the liturgical memorial of St. Vincent de Paul on the new calendar. And, today marks the 400th anniversary of the Vincentian charism for which Pope Francis sent a message. Let us pray for God’s abundant blessings through St. Vincent de Paul upon the Vincentian Family and in particular for Father Tad and the Vincentian community in New Haven. Here are a few paragraphs. 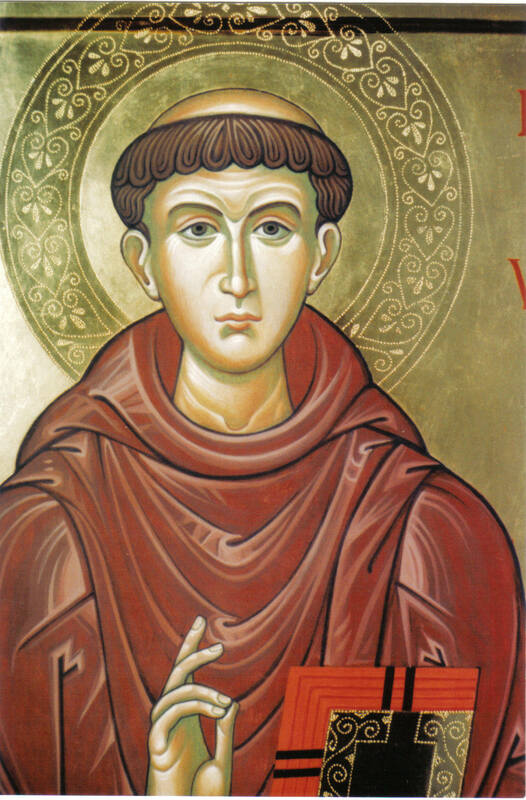 He [St. Vincent] was always progressing, open to seeking God and himself. Grace worked to supplement this constant quest: as a shepherd, he encountered Jesus the Good Shepherd in a striking way in the person of the poor. This occurred in a very special way when he allowed himself to be touched by the eyes of a man thirsting for mercy and by the situation of family lacking everything. At that moment, he was deeply moved by Jesus looking at him, inviting him to no longer live for himself, but to serve Jesus wholeheartedly in persons who are poor, whom Vincent de Paul would later call “our lords and masters” (Correspondence, Conferences, Documents XI, 349). His life then became steadfast service, up to his last breath. A verse from Scripture showed him the meaning of his mission: “The Lord has sent me to bring the Good News to the poor” (cf. Lk4:18). At the heart of the Vincentian Family is the search for “those who are the poorest and most abandoned” and a deep awareness of being “unworthy of rendering them our little services” (Correspondence, Conferences, Documents XI, 349). In the glorious wounds of Jesus, may you find the strength of charity, the happiness of the grain that gives life by dying, the fecundity of the rock from which water gushes forth, the joy of coming out of yourself in order to go out into the world, free from nostalgia for the past, confident in God and creative regarding the challenges of today and tomorrow because, as Saint Vincent said, “love is inventive to infinity”. High Mass for the 20th Sunday after Pentecost will be offered at 2:00 pm on Sunday, October 2nd. At the back of the Church is a table set up before and after Mass with various things: the SGS Mass cards, Christmas cards, the calendar, registration for the St Gregory Purgatorial Society, and the like. All sales benefit the work of the Society. 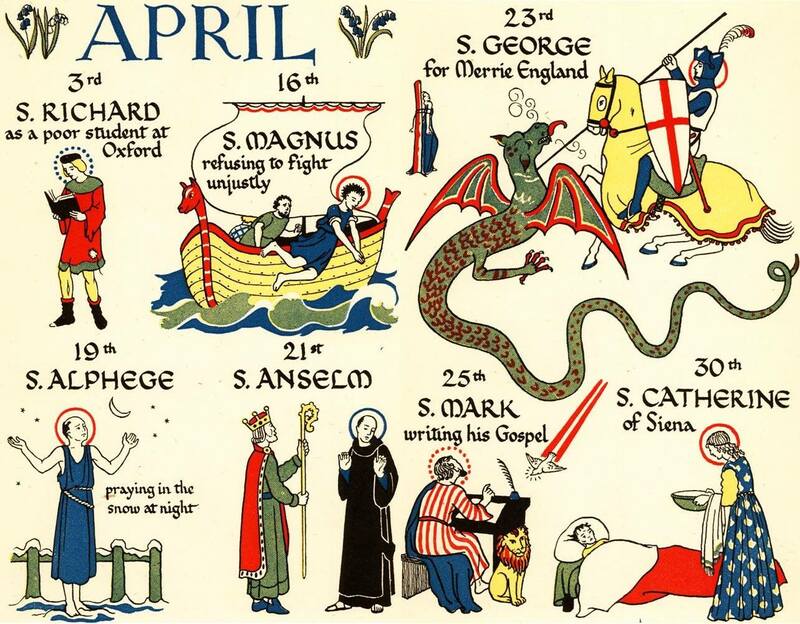 Our weekly schedule and other announcements are posted on the St Gregory Society website: http://saint-gregory.org AND on our Facebook page. A relic of St Anthony from his Shrine in Padua is visiting the Basilica of Saint John in Stamford on Tuesday, June 14. In addition to the various devotions offered that day, a Sung Mass in the Extraordinary Form will be celebrated at 10 in the morning. 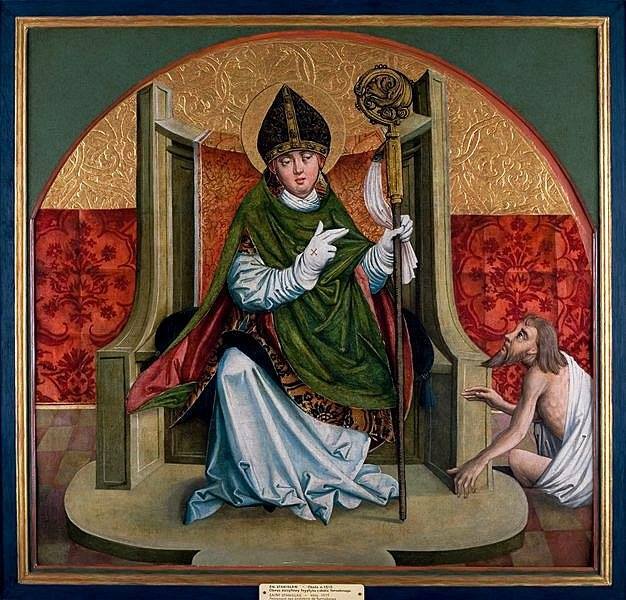 We find on the sanctoral calendar of the Extraordinary Form of the Mass (EF) holds today as the feast day of Saint Stanislaus, bishop and martyr. The EF is offered weekly and holy days at the New Haven Church bearing the patronage of today’s saint and it is fitting that his spiritual biography is offered for our consideration. Saint Stanislaus (1030-1079) was born in answer to prayer, when his parents were advanced in age. Out of gratitude they educated him for the Church. When his parents died, he sold their vast properties and gave the price to the poor. He was ordained, and being a holy priest, soon afterwards became a Canon of the Cracow cathedral. It was necessary to have recourse to the Pope to have him accept the see of Cracow when it became vacant. But the bishop of Cracow’s virtues increased with his dignity and obligations; Saint Stanislaus donned a hair shirt, which he wore until he died. He had a list drawn up of every poor person of the city, and gave orders to his servants never to refuse anything to anyone. Boleslaus II was at that time King of Poland; he was a prince of good disposition, but spoilt by a long series of victories and successes. After many acts of lust and cruelty, he outraged the whole kingdom by carrying off the wife of one of his nobles. Against this public scandal the chaste and gentle bishop alone raised his voice. 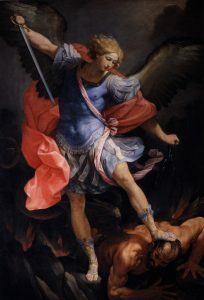 Having commended the matter to God, he went to the palace and openly rebuked the king for his crime against God and his subjects, and threatened to excommunicate him if he persisted in his sin. Boleslaus, with the intention of irrevocably ruining the bishop’s good reputation, suborned the nephews of a man named Paul who had recently died, to swear that their uncle had never been paid for land which the bishop had bought for the Church. Saint Stanislaus stood fearlessly before the king’s tribunal, though all his frightened witnesses forsook him, and guaranteed to bring the dead man to witness in his favor within three days. On the third day, after many prayers and tears, he raised the dead man to life and led him in his grave-clothes before the king, where Paul testified that the bishop had reimbursed him fully for the terrain he had sold. He was then taken back to the grave, where he lay down and again relapsed into his former state, before a large number of witnesses. Boleslaus for a while made a show of a better life. Soon, however, he returned to the most scandalous excesses, and the bishop, finding all remonstrance useless, pronounced the sentence of excommunication. In defiance of the censure, on May 8, 1079, the king went to a chapel where Saint Stanislaus was saying Mass and commanded three groups of soldiers in succession to slay him at the altar. Each in turn came out, saying he had been alarmed by a light from heaven. 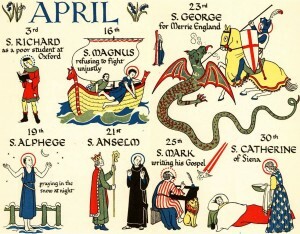 At this the king himself rushed in and slew with his own hand the Saint at the altar during the Holy Sacrifice. The Pope placed the kingdom of Poland under interdict, excommunicated the king and declared his royalty null and void. Boleslaus repented, took refuge in another country for a time, then set out dressed as a pilgrim for Rome. On the way he knocked on a monastery door to ask for an alms, then decided to enter there anonymously, and was received. He spent seven years there as a Benedictine lay brother, rendering every humble service to the monks, patiently bearing rude treatment. Only on his deathbed did he identify himself, taking out his royal ring which he had concealed until then. He had spent hours praying before a statue of Our Lady in the chapel, by which we may conclude that the Mother of God had obtained for him the grace of conversion and a happy death. His body remains in the church of the same monastery of Ossiach. Saint Stanislaus was canonized by Pope Innocent IV in 1253. Reflection. The safest correction of vice is the Christian’s blameless life. Yet there are times when silence would make us answerable for the sins of others. At such times let us, in the name of God, rebuke the offender without fear. Les Petits Bollandistes: Vies des Saints, by Msgr. Paul Guérin (Bloud et Barral: Paris, 1882), Vol. 5; Little Pictorial Lives of the Saints, a compilation based on Butler’s Lives of the Saints and other sources by John Gilmary Shea (Benziger Brothers: New York, 1894).